Every time you publicise a trip to a bodega, I check my diary to see if I can possibly come along – they are all such fun. 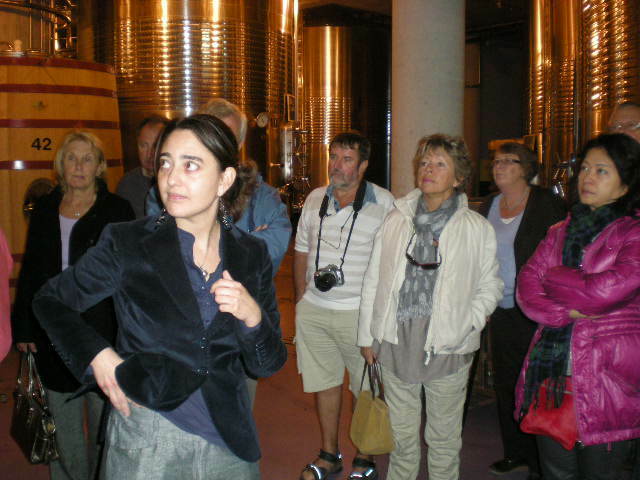 Quite apart from travelling with a jolly crowd of fellow wine-lovers, we always get to see such wonderful countryside. It makes a lovely change not to be driving and of course, it means that I won’t have a problem with the boys in blue – or green for that matter. For me, the best bit is the actual tour of the bodega. You always seem to take us to such picturesque bodegas run by the nicest people all of whom are able to convey their absolute love of the process and, of course, the final product. I have to say that your extensive knowledge of wine is a great help too especially during the tasting and I’ve learned so much about what to look for when choosing a wine. Thank you for all your bodega trips; I’ve thoroughly enjoyed all of them – long may they continue. Ros. 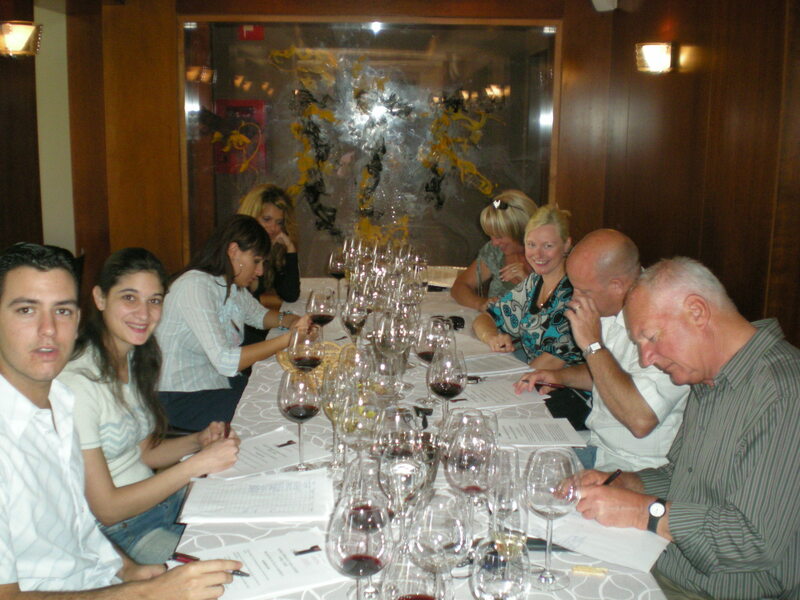 Wine Course Students hard at work! Glad to hear and see you are doing so well, the website looks awesome – congratulations! All is good in sunny London – the wedding season is just kicking in for the wine trade!! Hopefully it will be a hot busy summer! Having known you for over a decade I’m truly delighted to see such a great website go live! 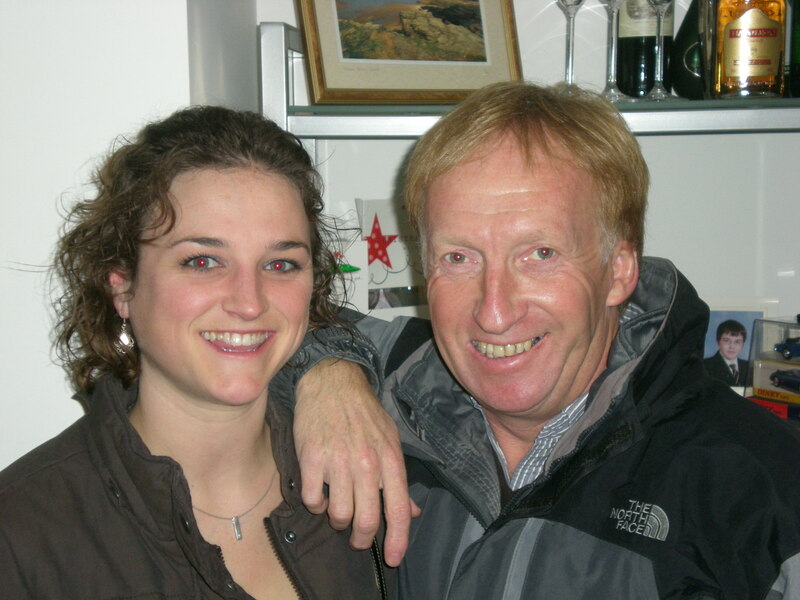 After six years in the profession, Col Harkness has to be one of the most experienced and genuine experts I have ever met in the Spanish wine trade. His passion is unsurpassed and his knowledge incredibly inspiring. The vinous world is a better place thanks to Col’s dedication, commitment and true love of good vino. Good luck with all your future ventures Col! Gracias Colin por tu excelente trabajo! 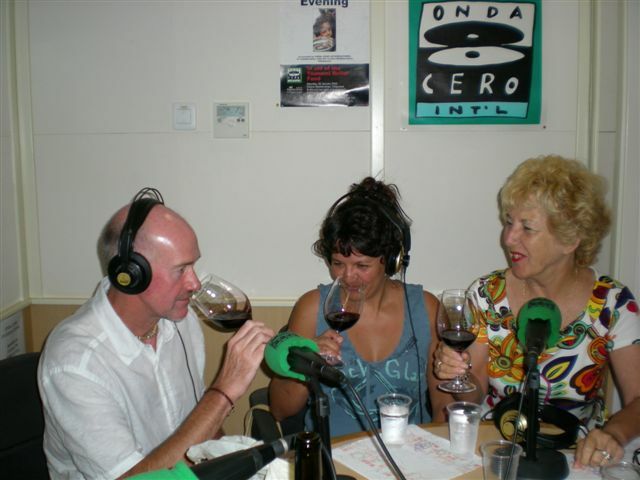 Cecilia, owner of La Vinoteca - a Radio Star too! Agradecerte tambien que me hayas invitado a la cata en vivo que hicimos en la Radio en Altea , fue una experiencia muy bonita poder hacerlo. TE mereces lo mejor porque eres una gran persona ! Sigue adelante con tus proyectos y escribiendo tan buenos articulos! 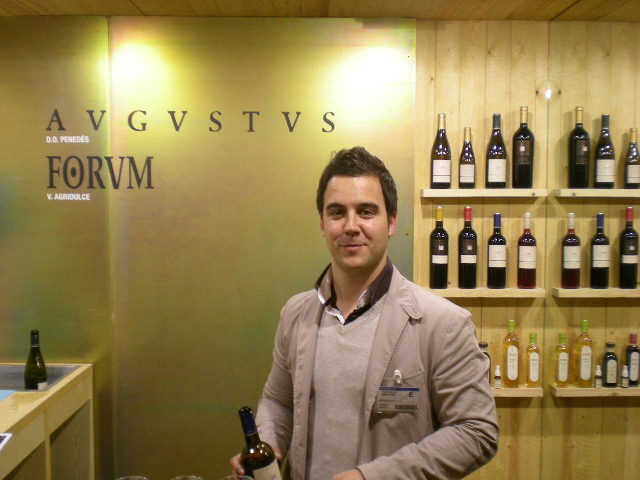 The Spanish Wine Company buys wines direct from the producers and sells them all over the world! He participado en muchas catas y presentaciones en los ultimos años y la mayoría dejan al publico bostezando y mirando sus relojes. Cuando se trata de las catas y presentaciones de Colin la cosa cambia por completo. Su entusiasmo por el vino, su facilidad de la palabra (¡incluso en castellano¡), su gran conocimiento y,sobre todo, su humor garantiza que el publico se divierte mientras aprende. Tambien hemos aprovechado sus conocimientos y algunas de las frases de sus articulos para nuestra publicidad. It is simply one of the best article that I never read about me and my family company. Thank you so much for your kind words!! It is fantastic. Su from La Casa del Vino, Javea, after one of our super tastings! 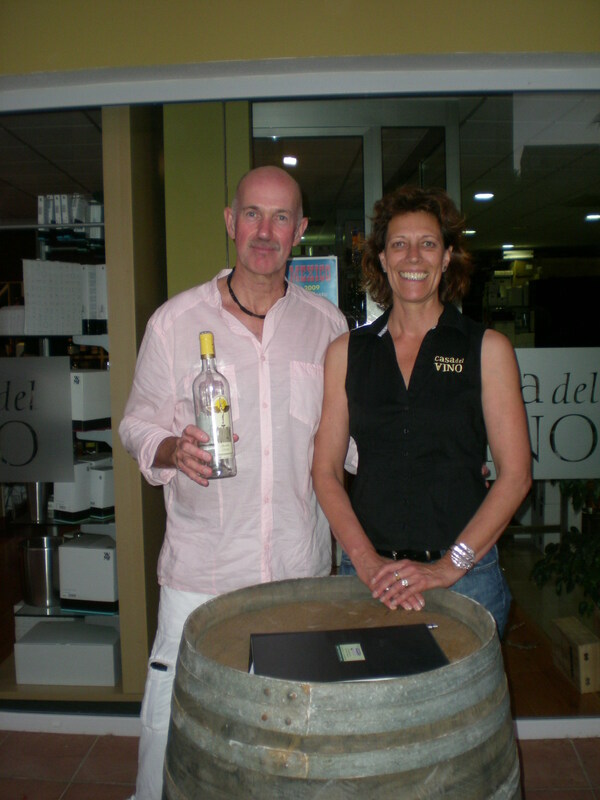 Since Casa del Vino opened in April 2008 Colin has shown enthusiasm in our selection of wines plus hosting some of our wine tastings at the shop. He’s an absolute delight to listen to and has a great wealth of information not only of the wines but of most of the wineries as well! 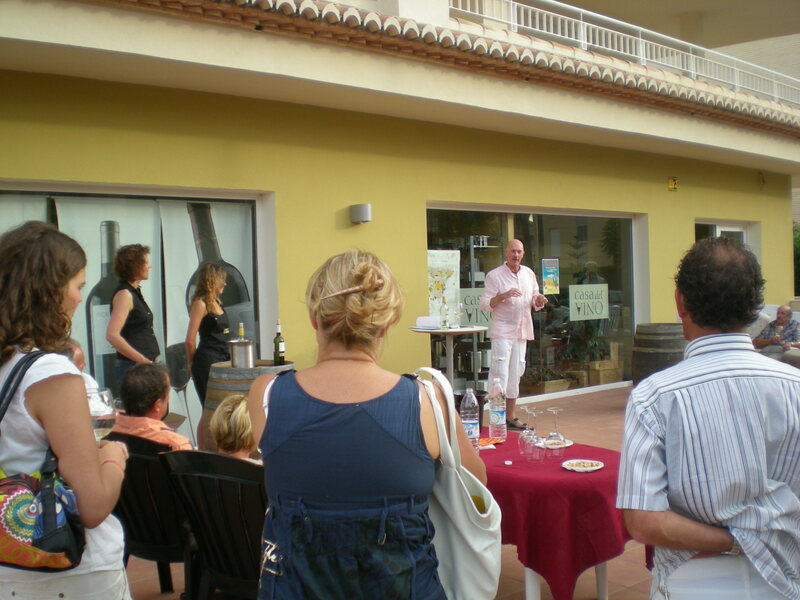 Tasting al fresco at La Casa del Vino, the retail arm of The Spanish Wine Company, Javea. It is great to see the development of your website after these years of so close a collaboration. Your knowledge on wine and viticulture as well as your passion to communicate it, has been of great help to both promote our wines and spread what Monastrell means to the Castaño family. 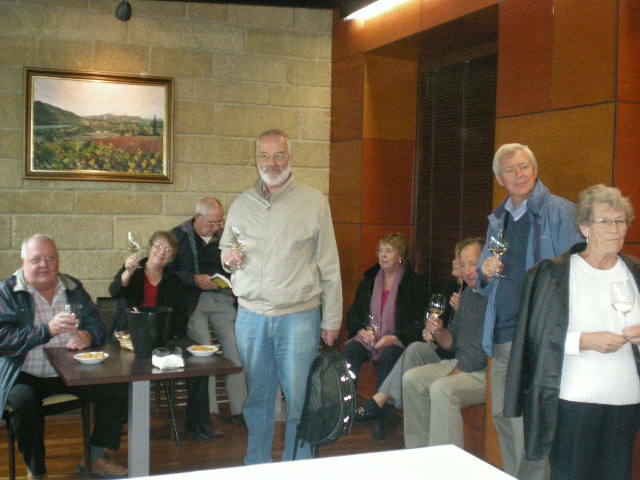 It has always been a pleasure to count on you for tastings in the province of Alicante, specially focused on introducing our Monastrell-based wines to English speaking people, or to bring over such lovely groups to our three wineries and vineyards: Bodegas Castaño in DO Yecla, Bodegas Sierra Salinas in DO Alicante and Altos del Cuadrado in DO Jumilla. Thank you for having us mentioned in your articles and for introducing our wines to so many people over the years. We hope to be able to have your highly esteemed collaboration in the future and we also hope that many other can benefit of it too! Good luck in this new enterprise! 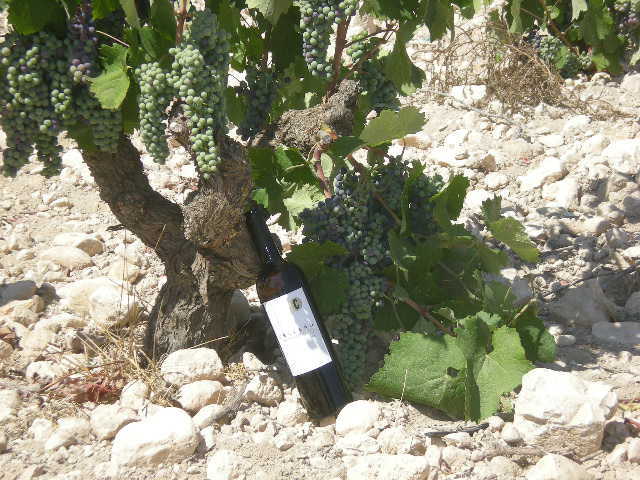 An octogenarian Monastrell vine in Bodegas Castaño's oldest vineyard, and the super wine it produces! Great web site, but does this mean we will have to pay when we invite you to one of our gatherings???? Can you put us on your e mail list as I never seem to find out about your tastings until after the event, or is that deliberate! I am also one of the founders of the Montgo Golf Society, perhaps in the future we can organise a tasting for the members at my house. Regards to you and Claire. Client Comments will herpes simplex appear episode passes episode free passes here..
“Fields of Gold” performed by Dolce Divas. Dolce Divas (Click to visit their website)specialise in Classical Music and Opera Favourites, giving recitals in concert halls and also providing Wedding Music, Romantic Chill-Out and Cocktail-Bar music for hotels and restaurants.